For the past 2 years, the NBA 2K franchise has been competing with itself while also delivering the goods to the fans. 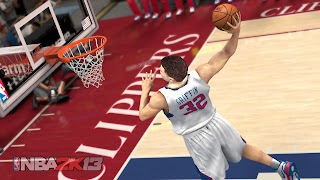 First in 2K11 we had the exciting Jordan challenge, then NBA’s Greatest Mode in NBA 2K12, and now in NBA 2K13, we have the MyPlayer mode, an RPG game mode where you go from rookie to a hall of famer. That’s not all though as the multi platinum recording artist Jay-Z helped produce the game, They've certainly set the bar high. The gameplay is very fun and challenging when defending or attacking the AI, especially when you’re only controlling one player and need to rely on your teammates for those great passes or vice versa. Defending is also very crucial as your team-mates rely on you to mark your man and make sure he gets nowhere near the basket. There seems to be a lack of explanations on controls like using the RS to do skills. It doesn’t exactly explain what move the player does so I was just clueless and spinning the RS to get past the opponent which was working for me most of the time. Holding the RT/ R2 changes from dribble to shooting motion and that gives you more control over your shots especially if you are more used to shooting with the RS. Just try and take the ball from me! There are plenty of modes to keep you busy, and the one I found to be the most interesting is the MyCareer mode. A fair warning though, as soon as you enter the game you are required to set up a MyPlayer account, where you can edit your player’s looks and details. That character that you create will be the same one you will be using in the MyCareer mode. So make sure you are happy with the character you created. In the MyCareer mode you take part in a rookie showcase match and how well you do in this match will decide how high of a draft pick you will be, along with subsequent pre-draft interviews with GM’s of the NBA Teams who have taken an interest in you. The interviews and press conferences obviously hasn’t been the focus of Visual Concept but perhaps adding the option of changing your character’s voice might have been a good thing too. This mode has a lot of depth to it, complete with post match conferences and it gives NBA 2K13 an RPG element to it as you go from rookie to star player, to eventually becoming a hall of famer. How you do it is entirely up to you whether you go the humble and nice guy way, complementing the coach in GM sit downs, or be the selfish egotistical guy who is constantly complaining and criticising the players and coach. During these matches you have to make sure you mark your own man and take shots in good positions or pass to open players because the team grading feature definitely keeps you on your toes. It can be slightly harsh however as it tends to deduct more from your mistakes than when you actually do well. Besides the team grading, comments from the coach will show up when you are doing good and he promises you more minutes on the court when you’ve ended a game in a good performance but at the same time, you can also get scolded for stupid fouls which will result in you being benched immediately. They really thought of everything including receiving endorsement upon being successful in the court. You certainly have to grind for your player to have attributes like Lebron or Kobe in which you get to the point where you are making great plays and becoming the heart of the team executing amazing plays. However obviously with low ratings it’ll be hard for you to score or dunk in traffic. Just like the other modes upon completing goal objectives, scoring points getting MVP in a game will all give you VC (Virtual Coins), which you are able to spend on your player. There are plenty of features in this mode for your character to explore along with drills and legend’s training camps where you get tips from the likes of Michael Jordan and Jerry West. The social media feature is also a welcome feature which allows fans, celebs, press, NBA stars, and legends to comment on your performance. As you play more games and get better, the fan base will begin to increase including getting the respect of the NBA Legends, players and celebs. The fans will tease you if you don’t get enough assists, rebounds or points even if you help your team with the win. MyTeam is pretty much a basketball version of FIFA’s Ultimate Team where you can purchase trading cards, trade it with other players and boost its ratings. This mode also allows you to collect VC. If you’re currently lacking VC, you also have the option to spend real money to purchase them, but if you are like me and want to take the more rewarding and longer road you’re more likely to want to grind your way through. 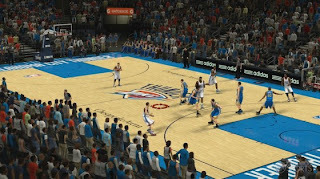 Visually NBA 2K13 is a pure treat to the eyes; it’s so realistic that it makes you feel like you’re watching an NBA match the only difference being that you are in control. The animation is very well studied and mimicked excellently, as they seem to capture the NBA players really well. The transition of the animation between the skills to the shooting is smooth and executed very well. The crowds get up out of their seats at the right time for when you score explosive goals and despite seeming low poly, match the game well. The presentations are insanely good along with great music overseen by Jay-Z. The commentating is exceptional, occasionally humorous and can also increase a person’s knowledge in basketball. The team work of Visual Concept along with the aid of Jay-Z certainly has been executed excellently. The online gameplay is efficient and works pretty well, unfortunately I didn't manage to find an online Association Mode at this time but the ranked matches are great and the online players certainly give you a run for your money. There are several matches in the online mode for you to try out such as; a quick match up, a quick match team up if you want to try out team chemistry with other randomized online players, MyPlayer BlackTop where you play 1v1 against another online player, Play with friends and Virgin Gaming Tournaments for the pro's who dare to put currency on the line. 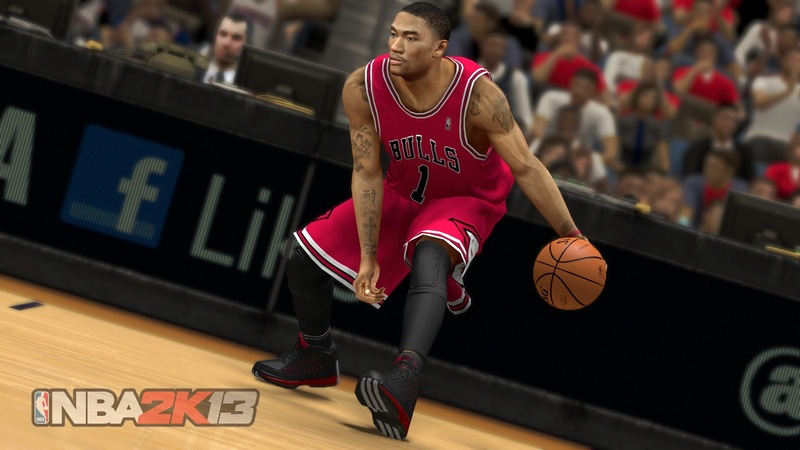 Overall the online experience that NBA 2K13 provides is definitely a fun and an exciting feature. The impact of Jay-Z’s production in NBA 2K13 has certainly been positive with the ridiculously good presentations, great music and just the overall look of the game. Besides that, the depth that the MyCareer mode covers as well as the other modes you are able to play gives the player a lot of things to get excited and busy with. Currently NBA 2K13 is the only basketball game in the market but Visual Concept still went for further improvements and new features which was quite risky but well worth it. We Know Gamers Final Score = 9/10 Had a chance to play the game? Tell us what you thought in the comments section below!